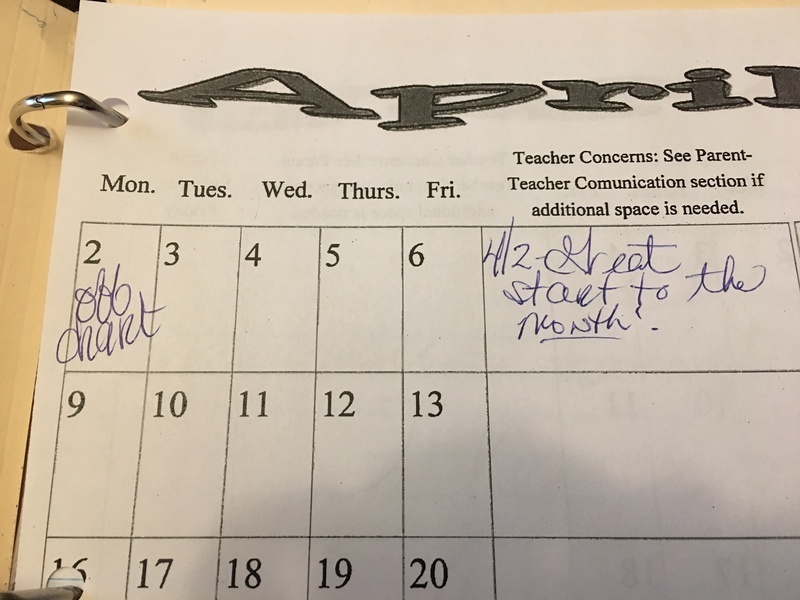 April was an interesting month at the Melton casa. 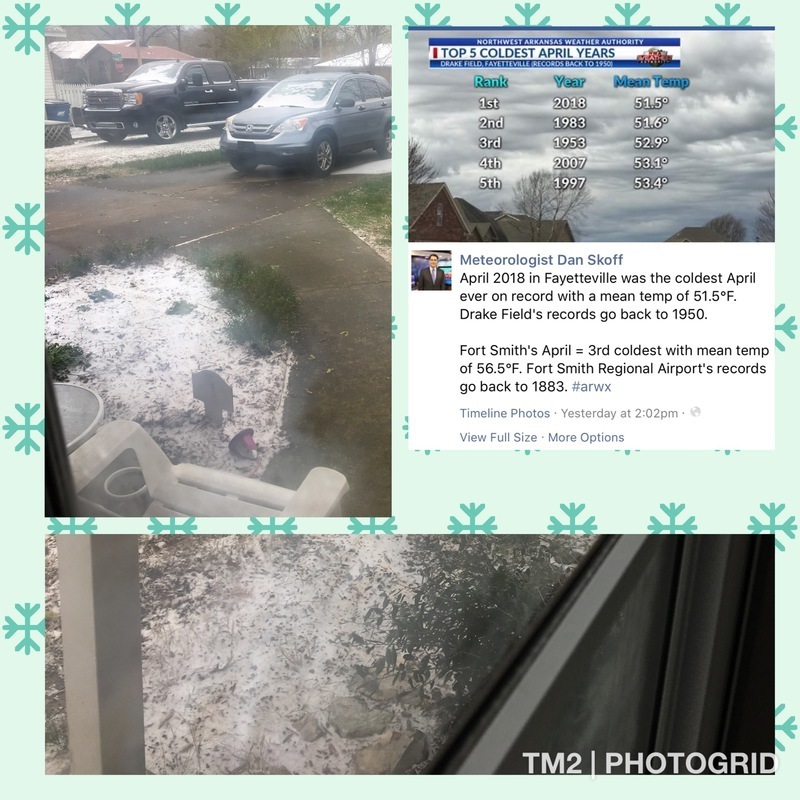 It was the coldest April ever recorded for NWA, we even got a bit of snow. It was often slow (and a bit boring) for me - as I was on physical restrictions post surgery. But we did have a bit of excitement. We had a pretty low key Easter between cold and wet weather, and me being low energy from surgery recovery. 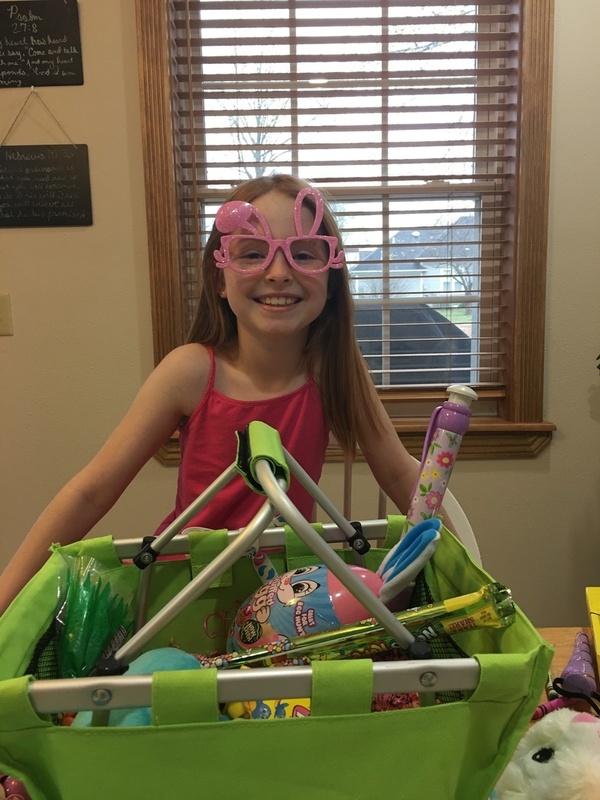 Aylin had a lot of fun and enjoyed coloring eggs, as well as some fun things in her Easter basket. 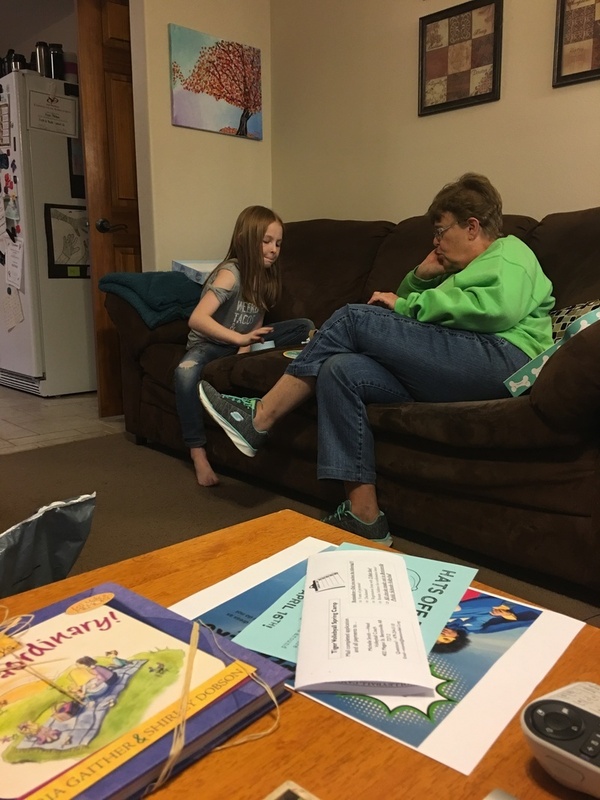 Aylin got OFF-THE-CHARTS again at school and she got to have a fun ice cream date with our neighbor who has established a reward routine for when Aylin hits the off the chart goal. It's pretty special, and Aylin looks forward to their fun time together. Nana came for a visit, and Aylin got to have some fun 1:1 time with her. They played games, and Aylin talked her ears off. 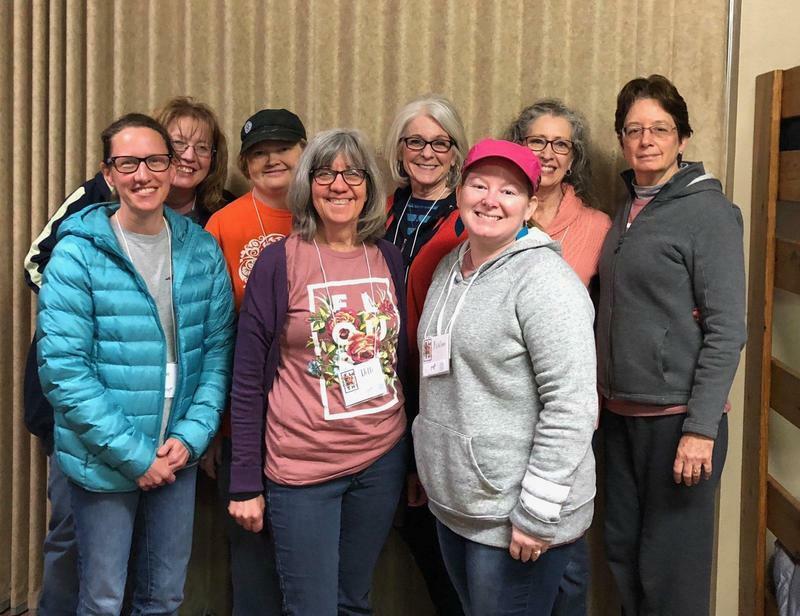 I got to go on a women's retreat with church and had an amazing time. I got to have some productive in-plugged down time, I had some great conversations with lots of ladies, made new friends and got to hug friends I hadn't seen in a while. Soaked in the words that the awesome Sue Addington spoke to us about our Identity in Christ. Learned more about Enneagram, Love Languages, and personality types like Lion/Otter/Beaver/Golden Retriever. Sat by a camp fire, worshipped with tears flowing, made paper flowers, and leather earrings. It was such a great refreshing weekend! 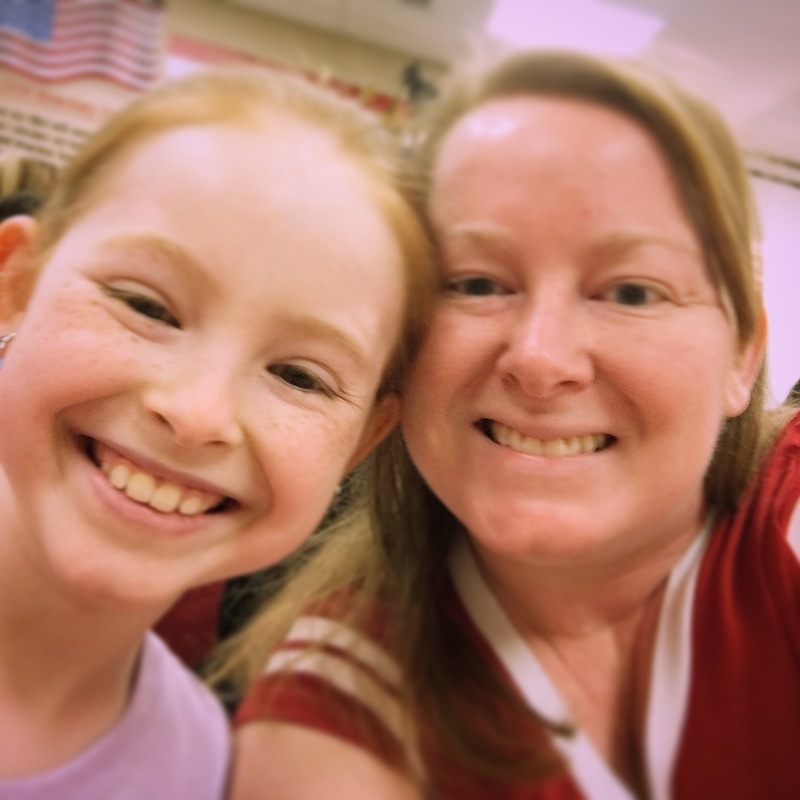 Aylin's school had a Breakfast for your Wonder Woman that I got to go to, and they also dressed up as Super Hero's for the day. 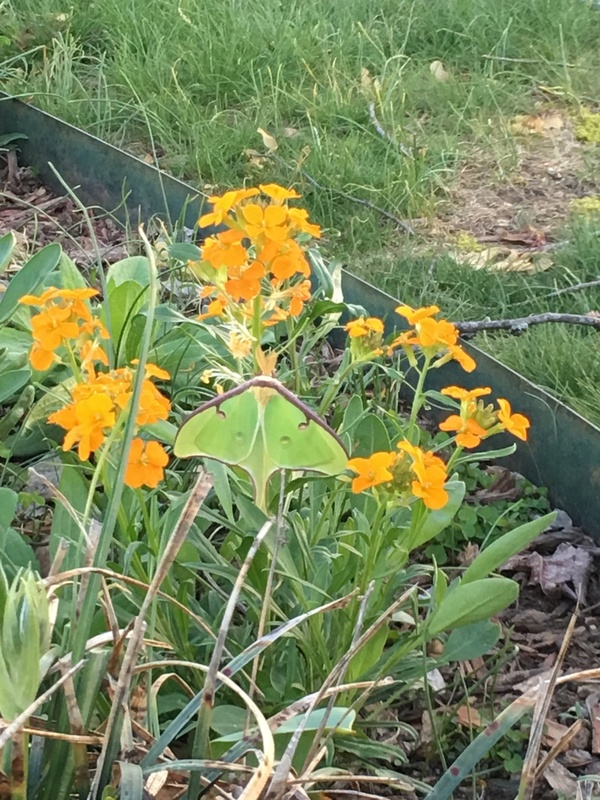 We found a really cool luna moth in our front flower bed. We ended up buying a new vehicle. It's a long story, and although we were hoping to be car payment free for a while longer than just a few months, it ended up being a good thing in the end. We got a great deal, and the process worked rather smoothly (as smoothly as car deal can go). It was the first pleasant car buying experience we've had in our marriage. 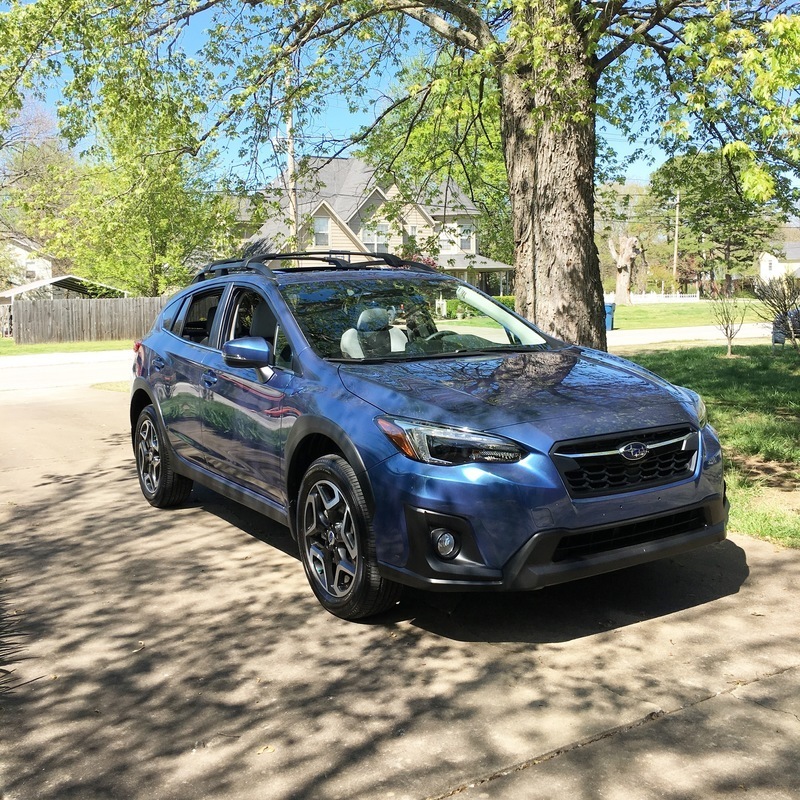 Mostly because we communicated better and worked together to listen to each other, but also because Adventure Subaru treated us really well. (I also found out, thanks for the beverages available at Adventure Subaru that Blue Sky has some pretty amazing soda flavors that are no sugar sweetened with stevia, AWESOME!) Most importantly Jeff and I are both happy with the outcome. The vehicle hits the sweet spot for all of our needs; I am comfortable with where our payment landed, and Jeff is finally in a vehicle that he enjoys (rather than being stuck in a vehicle I chose before my vision crisis caused me to not be able to drive). And we are tremendously thankful for neighbors who were willing to be on call if the car deal went long so that someone was around to get Aylin off the bus. After the car deal was all settled Jeff got to turn around and head to Norfork for the men's retreat. While he was off having manly man time Aylin and I had a girls weekend. 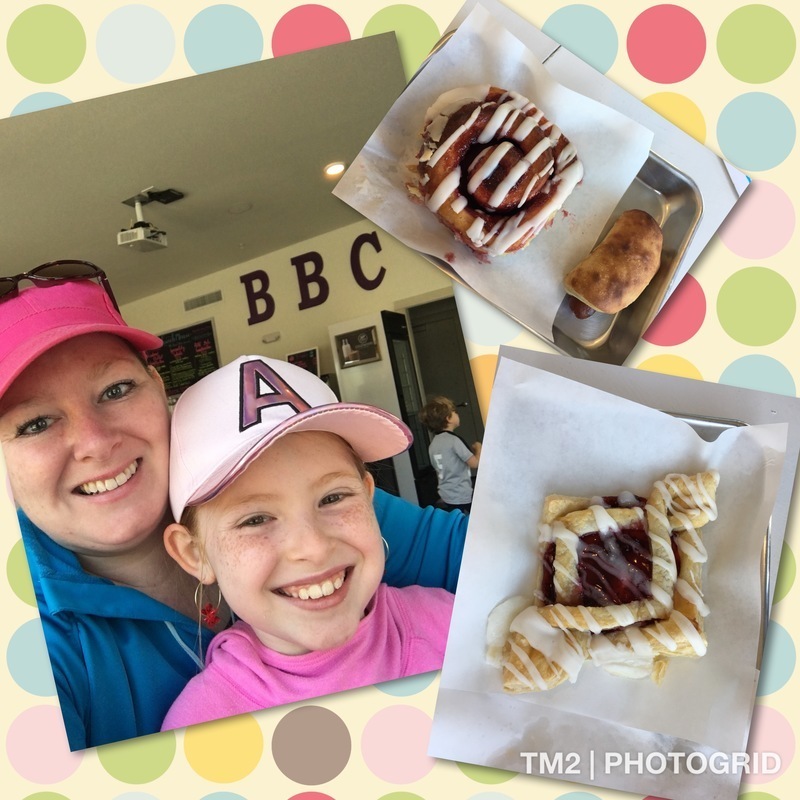 We had breakfast at the Bentonville Baking Company, shopped on the square, watched movies (Cinderella by Rogers and Hammerstein, Inside Out), made fun juice cocktails, ate junk food, and stayed up waaaaay too late. All in all it was a great weekend. So that's a wrap for the month of April!